Five millennia ago along a Scottish hillside and northern loch waters the Callanish Stones were used for spiritual rituals. Our featured guest Jennifer Wilhoit has a PHD in environmental studies, and is a spiritual ecologist and researcher who writes about our relationship with nature. Learn about upcoming mindful events and spiritual observances including Easter and Passover. 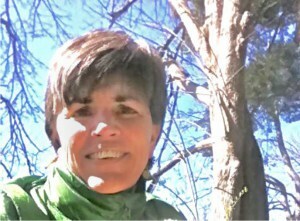 Jennifer Wilhoit has a PHD in Environmental Studies, and is a spiritual ecologist, researcher, and writer. Her latest book is titled “Writing on the Landscape: Essays and Practices to Write, Roam, Renew.” You can find out more about Jennifer, her books, and her other writings at her website. The Christian holiday of Easter. The Jewish holiday of Passover.